Periscope streams will now start streaming automatically on embedded tweets, which essentially makes any webpage its own live TV channel. Users don’t need to do anything differently, and those embedding tweets (like The Next Web often does) also have no extra work; embedded tweets simply access the stream in real-time. The Android app is also getting a long-overdue feature that dovetails nicely with this announcement: streams will automatically lay in the global feed and watch tab without sound, just as if you were flipping through channels on your TV while muted. Periscope is also toying with a feature it’s calling Highlights, which generates a trailer for each broadcast. It has a few use-cases, too; you can get a quick synopsis of your feed at the end of the day, or get a quick bite of information about a given topic (which are searchable within the app). The addition of livestreaming to embedded tweets is interesting in that it makes Twitter more of a breaking news source than ever before. 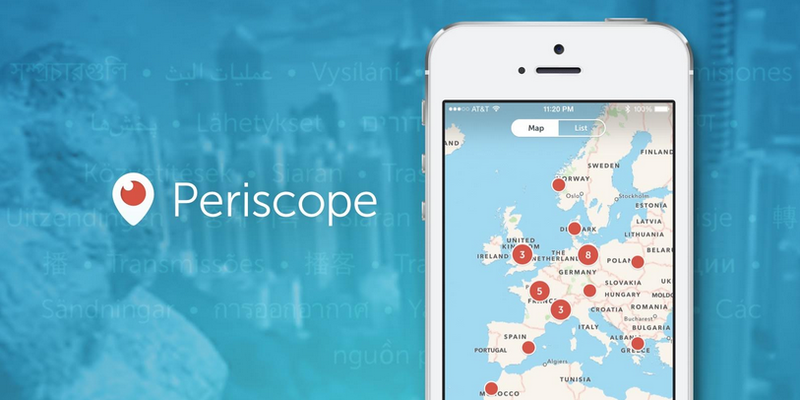 At several points throughout its history, Periscope has been the home for streaming news as it happens. Whether that be Black Lives Matter protests or a filibuster to reform gun laws — chances are it was on Periscope. Twitter is also making it easy to find tweets with Periscope livestreams. Searching for ‘#Periscope’ (along with other keywords) on Twitter will show a list of streams ready to be embedded. This is also Twitter making good on CEO Jack Dorsey’s promise that the service would be much more ‘live’ moving forward, and focus on distributing information as it happens. It’s also part of the company’s anti-Facebook gameplan; instead of ushering you onto Twitter or Periscope as Facebook does with Live broadcasts and its newsfeed, Twitter would rather users be able to consume content anywhere they are — and that’s not always on social media.